Spring is finally starting to *spring* around here and that means Easter is right around the corner. In the years past I have tried to find ways to celebrate Easter like we do at Christmas – full of family dinners, fun, and presents but making sure to focus on the real reason for the holiday. The way we utilized the products was to incorporate them into a special treat for the kids – we read the book together and listened to the audio download along with it during the day, and then I told them we would have a special treat that evening. While they were occupied elsewhere after dinner, I made the living room as dark as possible and hid the eggs - stuffed with the scripture scrolls, a few treats, and symbols of Easter/Jesus. The kids had a blast! - The eggs didn’t require batteries or anything special other than sitting in the sun to charge. Upon opening the package, I let them set in the sun on a windowsill for several hours. They glowed bright and strong! The eggs are yellow, blue, green, and pink and can be stuffed just like any other ordinary eggs. 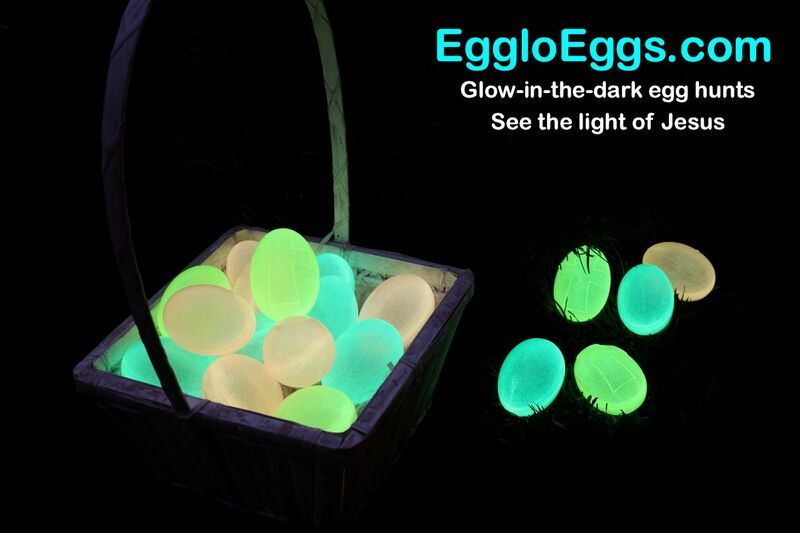 - The glow in the dark eggs are so neat. My kids just loved running around hunting for them in our darkened living room and dining room. - The scripture scrolls were a neat thing for the kids to unroll after opening their egg. I found a neat Scavenger hunt on the Egglo website that has a clue in each verse of scripture that I'd like to try and use. The program guide was also very helpful in giving me suggestions on how to utilize the eggs including snack ideas, activities, discussions, coloring pages, and more. - My kids found the story fascinating. In it, Hardy, Anastasia, Pascal, and their dog Zeke (my son Zeke loved that!) find a glowing Easter Egg in their attic. They are then taken on a journey all around the world. They embark on a scavenger hunt to find more eggs in different locations that eventually leads them to the most wonderful treasure of all! - We used these products before Easter but that wasn’t really an issue since one of the main components of the story was on Jesus being the light of the world – that’s not a story that can only be told at Easter! We also focused on letting the eggs be an example of how we should be in the world – a light shining among darkness. I can see how they could used at any time really. I’ve been talking to some of the ladies in charge of the children’s ministries at our church and am making plans to incorporate the Egglo eggs into our church’s Easter activities. 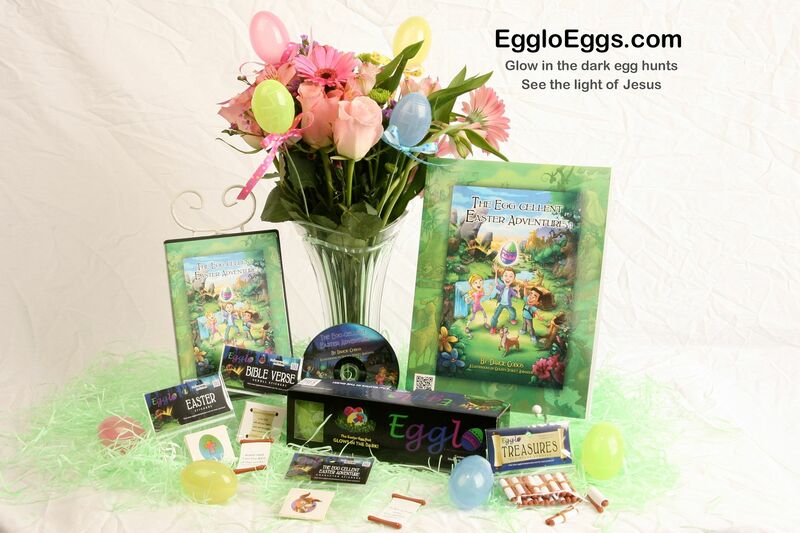 I am hoping to do some of the egg hunt games found on Egglo’s website – like the Scavenger Hunt with the scripture scrolls - I think the kids will really enjoy it. I like how you are keeping Jesus in Easter.